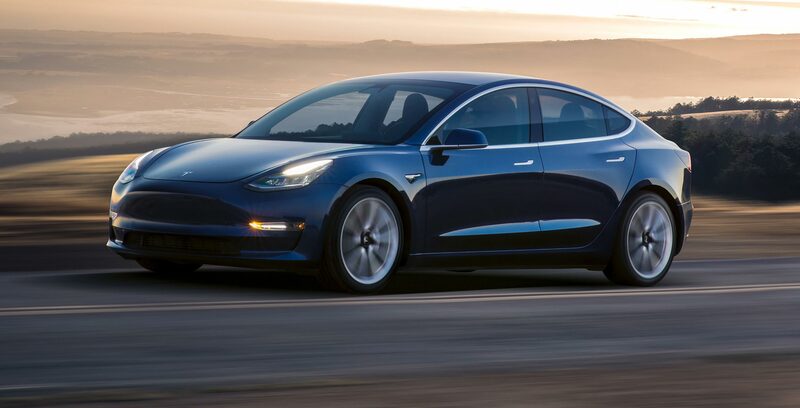 Tesla is discontinuing its Model 3 ‘Mid Range’ battery pack, according to the automaker’s website, which was updated on March 16th. When visiting the company’s website to order the vehicle, you’ll see that the ‘Mid Range’ option is removed. Customers now have the option of two new battery options, the ‘Standard’ and ‘Standard Range Plus,’ along with the ‘Long Range’ package. This change did seem imminent, as the ‘Standard Range Plus’ essentially replaces that mid-tier option when buying the Model 3. However, the’ Standard Plus’ battery pack offers less travelling distance than the trim it’s replacing, with a maximum range of 386km compared to the mid-tier version’s 418km. It does have an improved top speed, reaching up to 225km/h compared to the ‘Mid Range’ battery pack’s 201km/h. The ‘Plus’ package differs from the ‘Standard’ model by offering a more powerful battery, 12-way electric powered and heated front seats, leather seat trim, upgraded sound system, LED fog lamps and two smartphone devices docks. The ‘Standard Plus’ package costs a base price of $50,300 CAD. Last week, Tesla announced its SUV crossover vehicle, the Model Y, which is set to release in Canada in Fall 2020, with a base price of $64,000 CAD. The vehicle also sports a ‘Standard’ trim version but will release later in Spring 2021.